Curling is a true sport for life. From the youth to the elderly, it has something to offer everyone with a variety of adapted versions of the game. BC is home to oldest curler in the world at 102 years old. 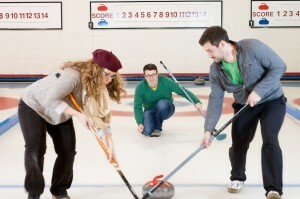 Curling is an excellent recreational sport which offers physical activity & social interaction. Learn to Curl – please check back with us in September 2019 ! Want to stay active this winter? Try Curling! Please check back with us in late August or early September for our sessions starting 2019/2020 season. Learn how to curl with enjoyment and confidence. This clinic is 2 hours long and includes both off-ice and on-ice instruction, as well as post clinic social time in our fully-stocked and licensed lounge! Cost: $25 (incl. GST). This registration fee includes all necessary rental equipment – brooms, sliders and grippers. Helmets are recommended but not mandatory and to be provided by the curler. Need more information or to register, our manager Pam would love to help, please click here! This league is a co-ed league designed for the inexperienced or beginner curler. It is a minimum 5 week program, every Saturday (excluding holidays and bonspiels) that will set the stage for an individual or team to segue into one of our leagues. Please inquire with us in September 2019 if looking to register. 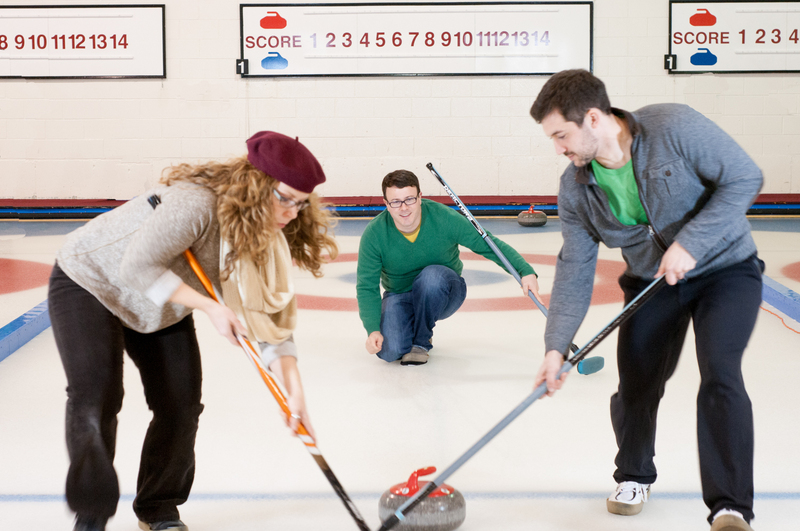 If you are new to curling and want to try out first, we recommend our Learn to Curl Clinic. See above! Novice League Cost TBA for 2019 /2020 includes GST membership fee and facility fee). Renting a sheet of ice for a couple of hours is a fun way to try out curling with a group of friends, family or colleagues! All rentals come with the option to add an instructor for a minimal fee. Click here for more information on ice rentals. Contact Pam at 604-327-3400 or email at pam@marpolecurling.ca to have them answered.